PECO hosted SWEP’s July 26th lunch and open discussion with Cosmo Servidio, Administrator for EPA Mid-Atlantic (Region 3). Region 3 services Delaware, Maryland, Pennsylvania, Virginia, West Virginia, and the District of Columbia. Mr. Servidio is no stranger to SWEP, meeting with the group several times during his tenure as PADEP’s Southeast Regional Director. He left the Director position at PADEP to join EPA in October of 2017 but previously served with EPA in Region 2 in New York. 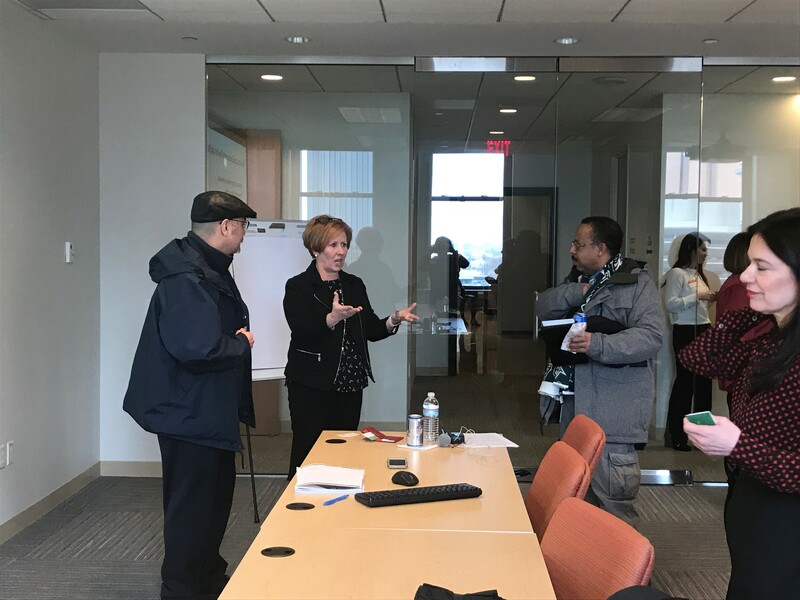 Along with Mr. Servidio, two of his staff joined for the discussion, Mary Kate Opila (EPA Region 3 Special Assistant to the Administrator) and Hana Hyland (EPA Region 3 small Business Program Manager). Cosmo opened the discussion by summarizing EPA’s mission to provide regulatory clarity, cohesiveness, and synergy between federal regulations and programs and the states and municipalities that implement the regulations at the local level. EPA is striving to provide the clarity that states need to implement their programs, provide a predictable implementation of regulations and policies, and provide timely responses on issues on matters that affect the states, municipalities, and communities of Region 3. A majority of the meeting was spent as a Q&A session, with questions coming from our large audience. When asked what some of the priority projects and initiatives are for Region 3, Servidio identified State Implementation Plans (SIPs), Section 404 coordination with the U.S. Army Corps of Engineers, brownfield funding, superfund programs, MS4 stormwater programs, wastewater treatment policies, and PFOS and PFOA were on the top of the list. EPA Region 3 is currently hosting a series of stakeholder meetings, community interaction sessions and professional conferences that will cover many of these initiatives. The PA Brownfields conference and West Virginia Brownfields conference are two upcoming examples. Region 3 will fill several positions in the coming months due to expected vacancies, including directors for the Water and Chesapeake Bay programs. Cosmo suggested that a roundtable discussion with these and others from Region 3 would be another potential event with the SWEP group. SWEP would gladly accept that invitation. 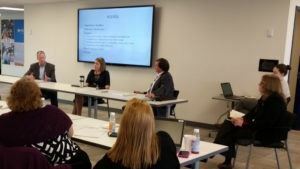 SWEP held their annual Pennsylvania Department of Environmental Protection- Southeast regulatory update on June 18, 2018. Speakers included Patrick Patterson, Regional Director, Ragesh Patel, Program Manager (PFCs), and Dave Brown, Section Chief- Land Recycling/Special Projects Section. A variety of topics were covered including DEP program and personnel updates, public outreach and education efforts, Technical Guidance Manual updates for Chapters 245 and 250, and in an depth review of PADEP's involvement with PFOA/PFOS well contamination in the Bucks County area. SWEP incorporates regular updates from local, state and federal agencies throughout the year. 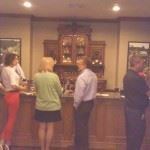 The latest Networking Lunch & Business Card Exchange happened on Thursday February 15th. SWEP Members and friends of SWEP met at the Marathon Grill in downtown Philadelphia, PA. The group consisted of 25 attendees, and great conversations and a yummy meal were on the menu. 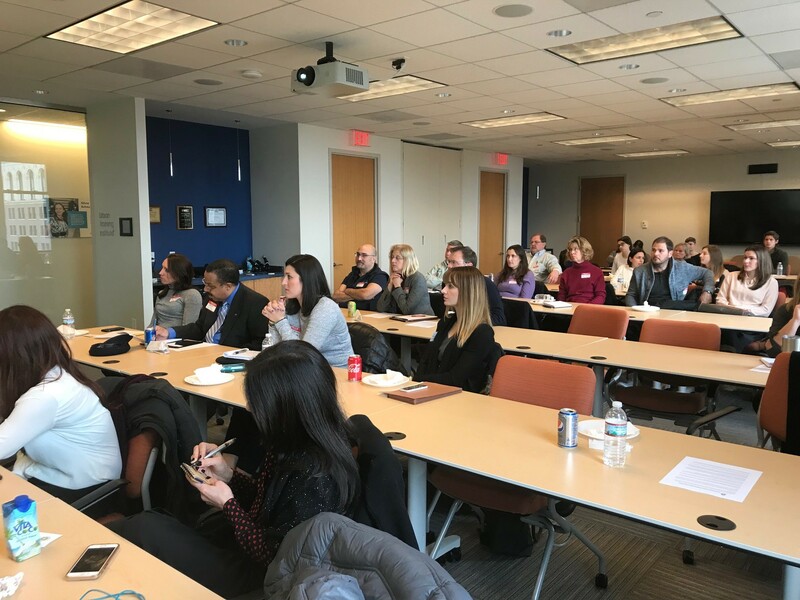 SWEP Program Coordinator Kristen Weiler organized this months' luncheon - please reach out to her if you attended and would like a copy of the attendee list (shared with paid attendees only) or if you would like to volunteer to assist in future programs planning. Look for the next event coming up in March! 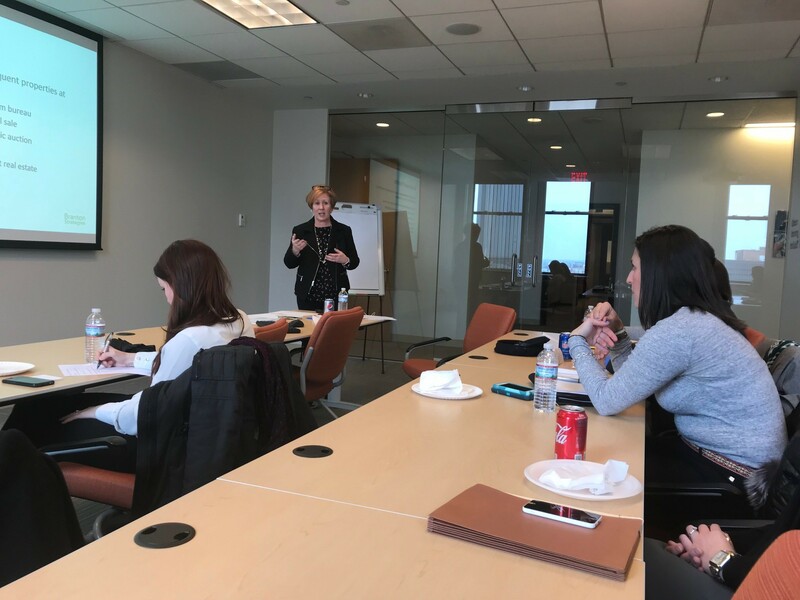 On January 17, 2018, Winnie Branton, Esq., provided an overview about land banks to SWEP members. Her presentation explained how land banks can be used as a tool for communities to acquire vacant, abandoned, and tax delinquent properties and to return these properties to productive use. Winnie’s passion was inspiring for the attendees. She is the author of the Pennsylvania Land Bank Resource Guide, which was published by the Housing Alliance of Pennsylvania in May 2016. She engaged the audience and invited questions throughout the presentation. We are grateful for Winnie’s time and support of SWEP. 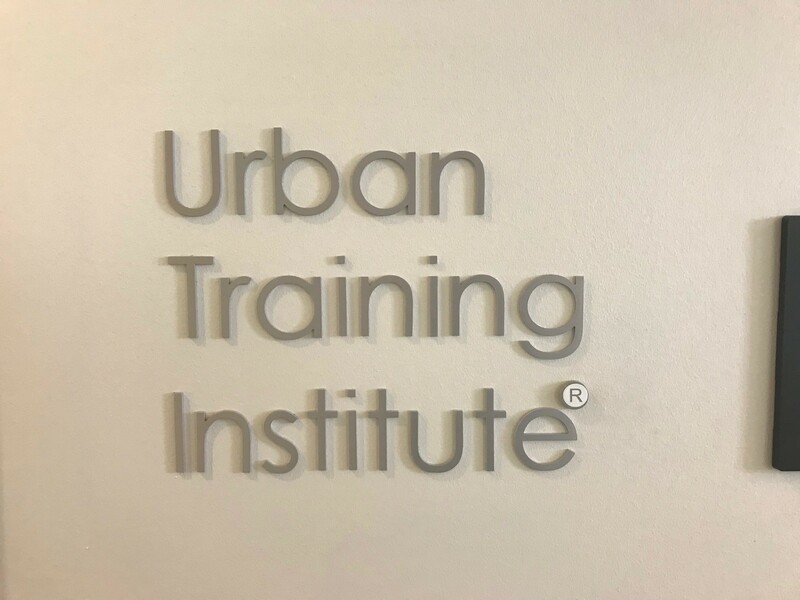 SWEP also thanks our hosts, Urban Engineers, who provided space and lunch for attendees in their Center City Philadelphia office. As summer came to a close and we headed into the fall, SWEP hosted two wonderful networking events that brought members together. 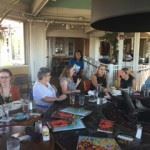 The SWEP Networking Lunch & Business Card Exchange was held on Wednesday September 14th at Bahama Breeze in King of Prussia, PA. This event drew a larger-than-typical crowd of 25 attendees. The group mingled casually and enjoyed a fun lunch on the outdoor patio seated around a massive circular table with fire pit! SWEP Board Member/Progams Chair Denise Molzahn welcomed the group and provided a few relevant SWEP updates. SWEP Touchstone Co-Chair Tina Ruble gave an update on the upcoming Awards Reception (November 3rd) and the planning that has occured thus far, while Ann Smith, the other SWEP Touchstone Co-Chair, asked members to continue thinking about submitting ideas for a cohesive theme for this year’s award. The second event SWEP hosted in September was the Wine & Networking Event held Thursday September 15th at the Black Walnut Winery in Sadsburyville, PA. Black Walnut Winery is a local winery that opened in 2009 in an historic 200+ year old renovated farmhouse building. Our evening was hosted by SWEP Board Member Ann Smith, who also works at the winery. Attendees of the event received a tasting of several varieties of red and white wines, learned about wine tasting techniques, and how weather conditions impact grapes and ultimately the taste and quality of wine. Wine tasting is underway as SWEP members mingle at the indoor barAfterwards, there was time to reconnect with colleagues and make new connections over a glass of delicious wine and hors d’oevres. A good time was had by all!